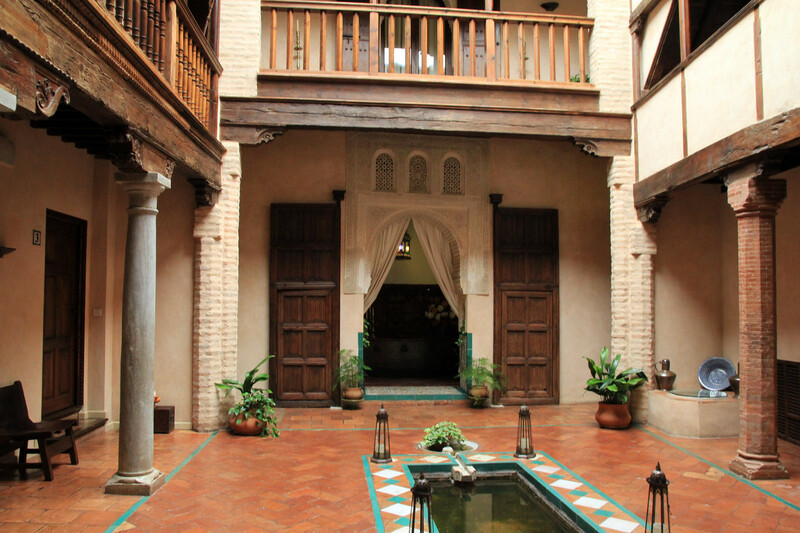 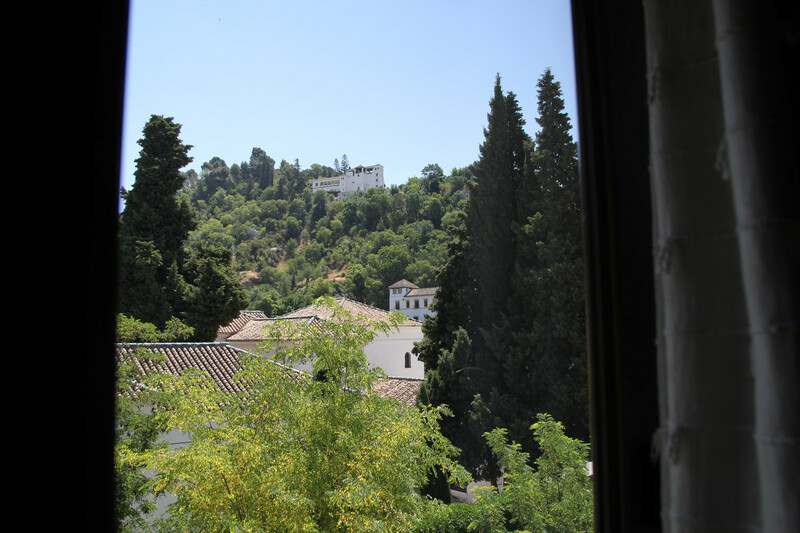 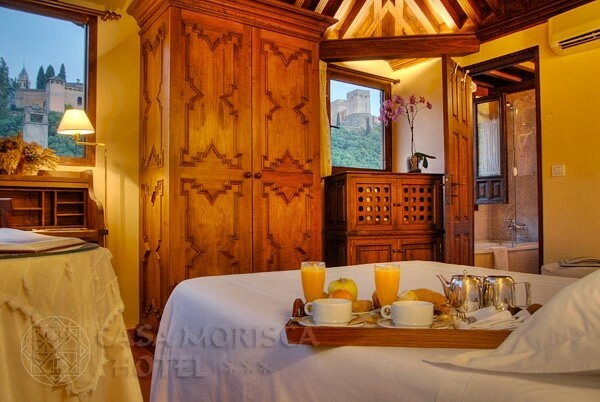 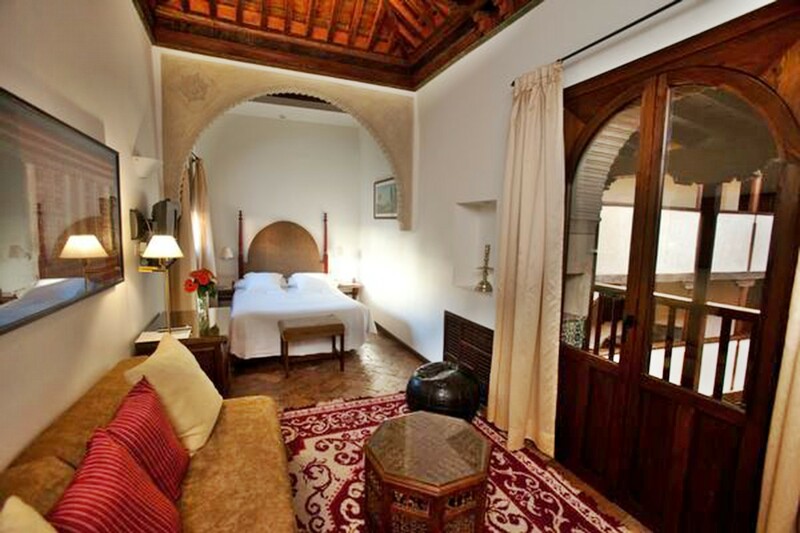 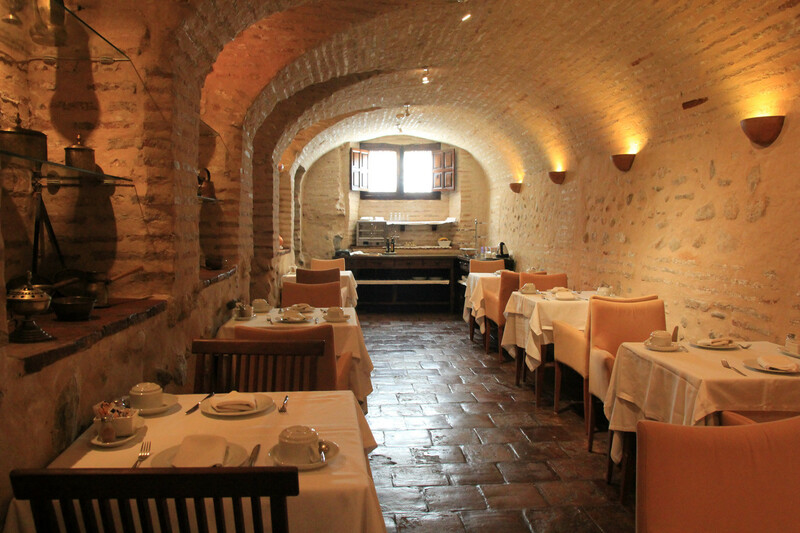 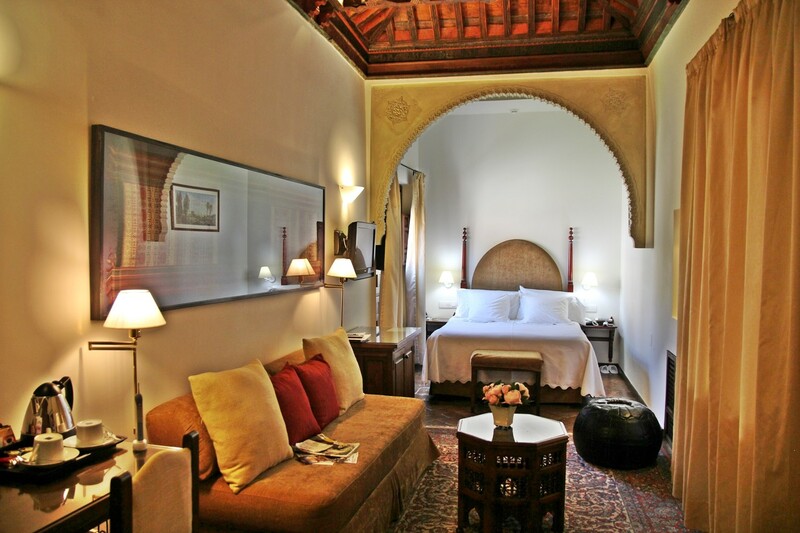 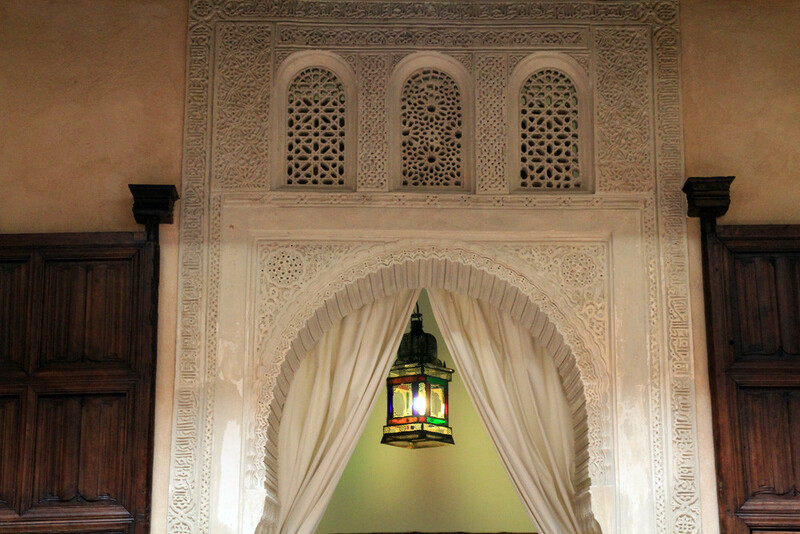 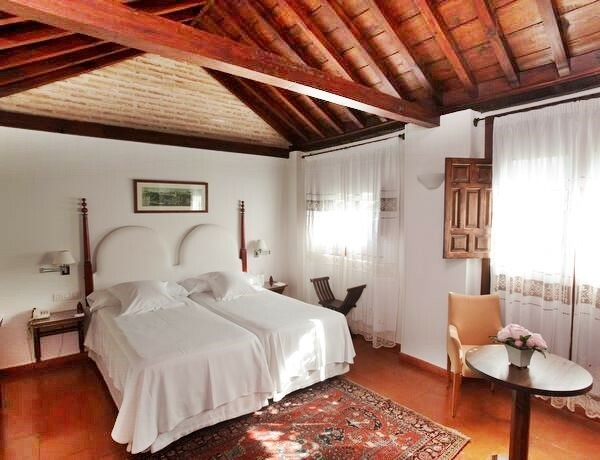 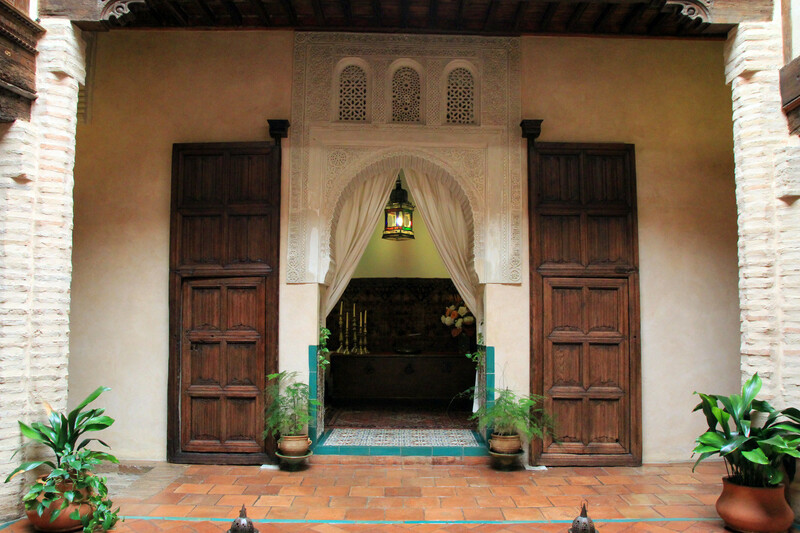 This boutique hotel offers rooms with a unique ambiance in an old Moorish palace, that is dating back to the end of the 15th century. 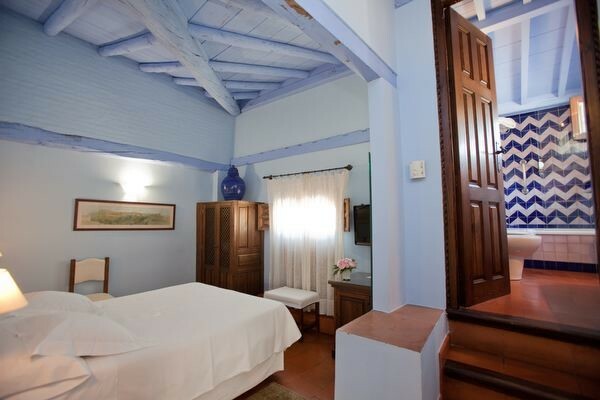 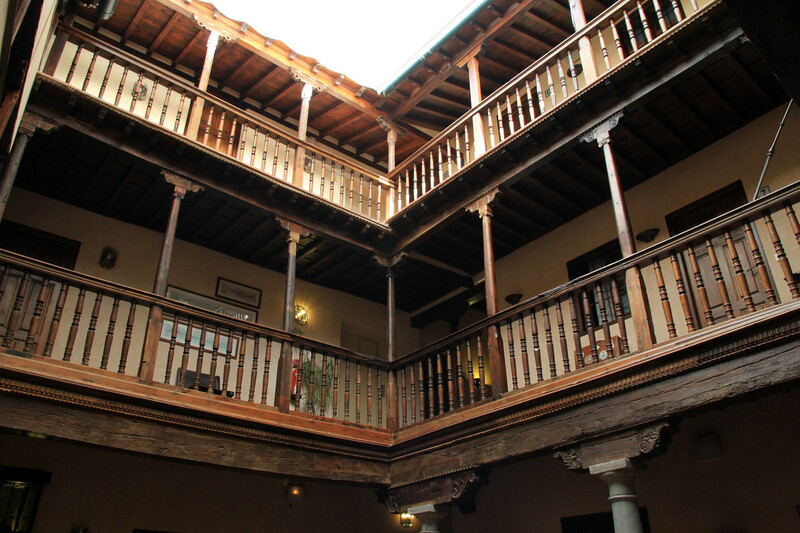 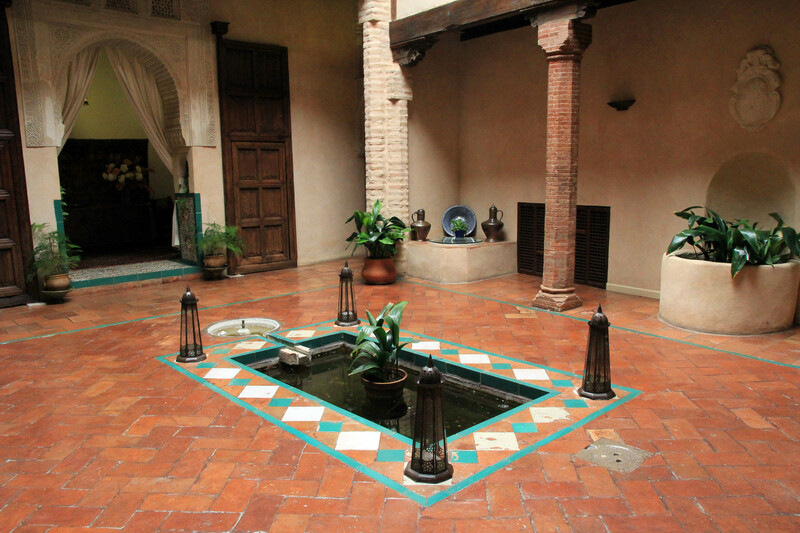 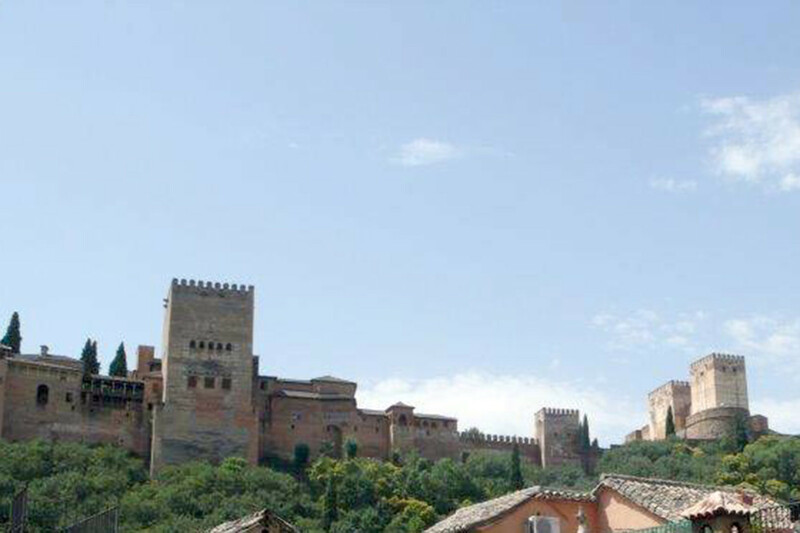 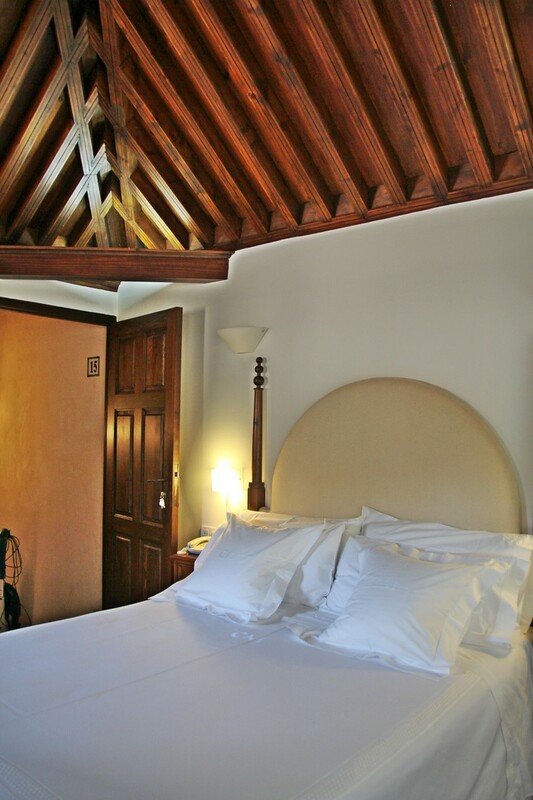 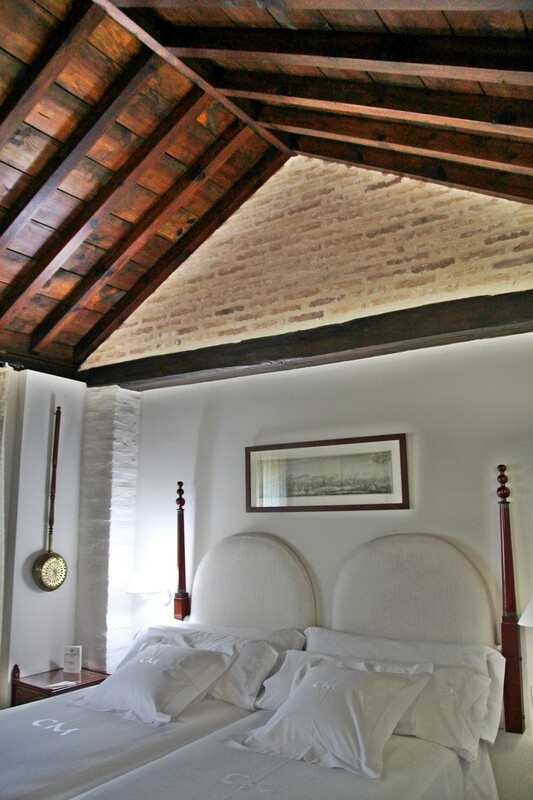 It has been carefuly restored by Carlos Sanchez, a renowned architect from Granada. 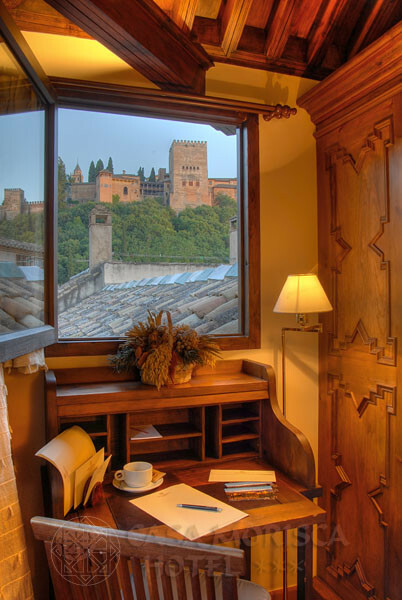 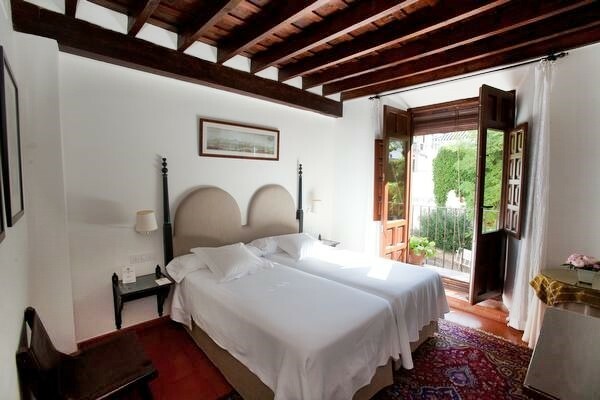 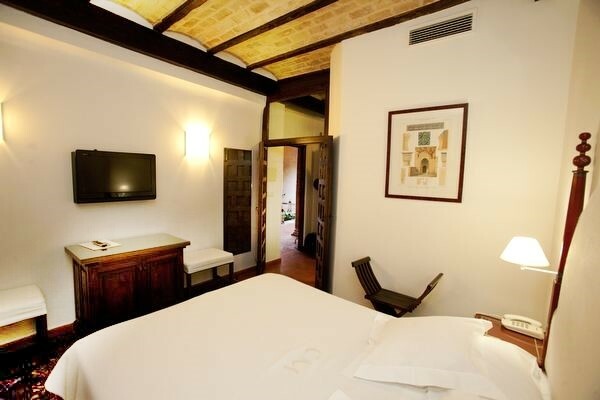 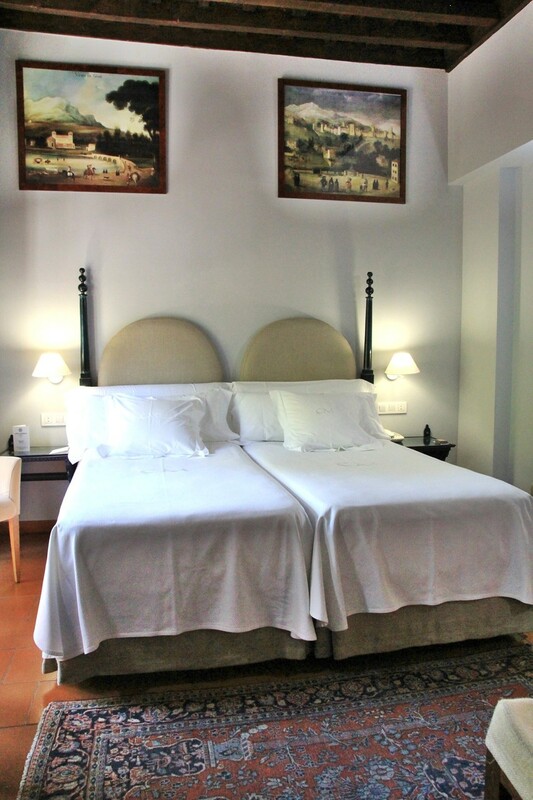 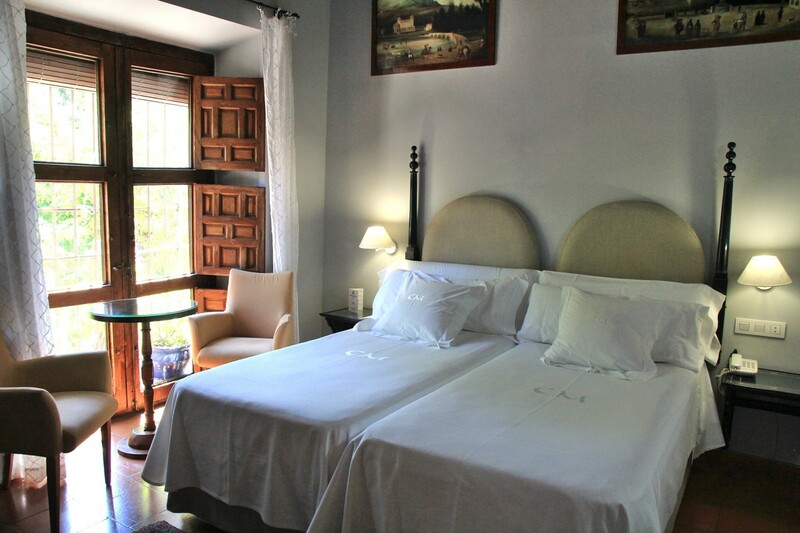 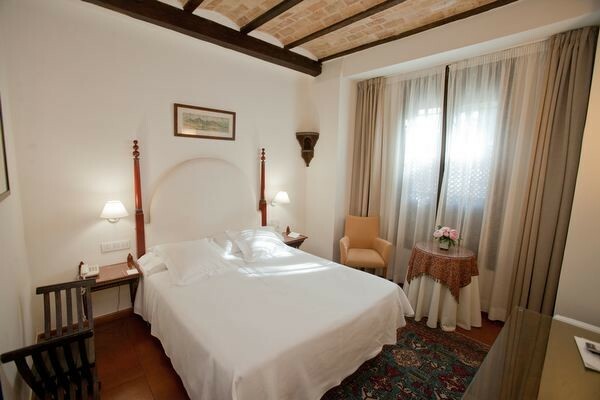 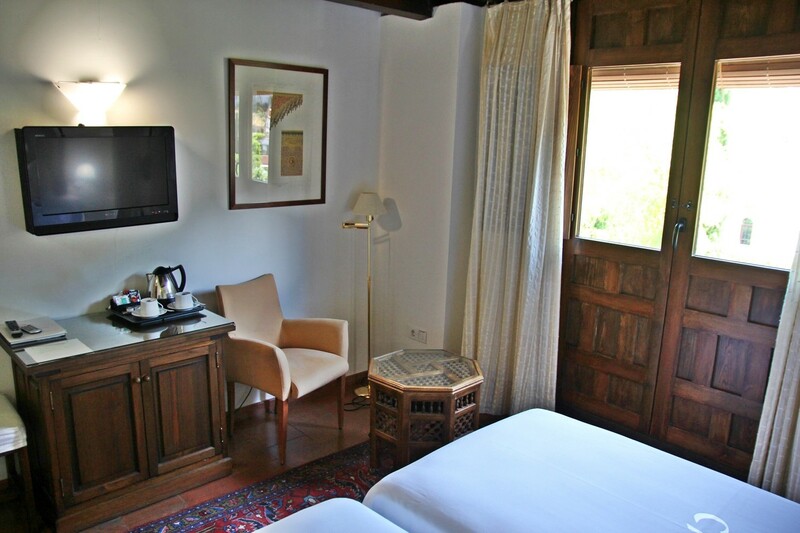 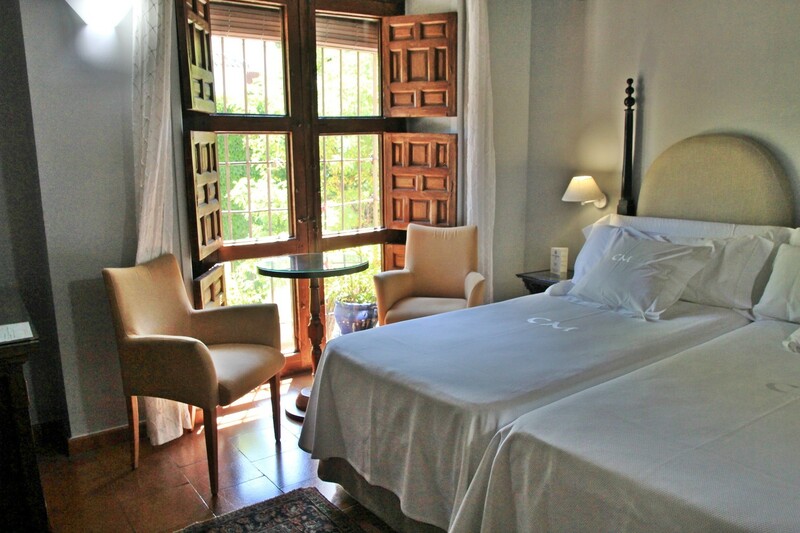 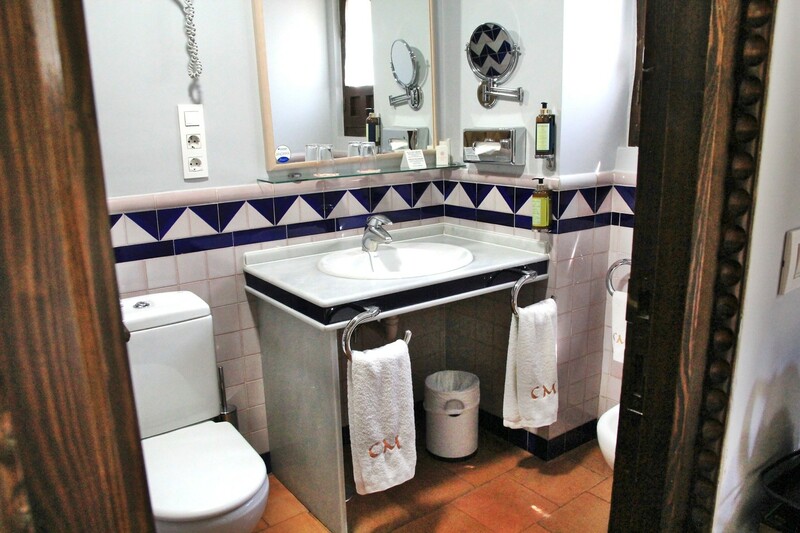 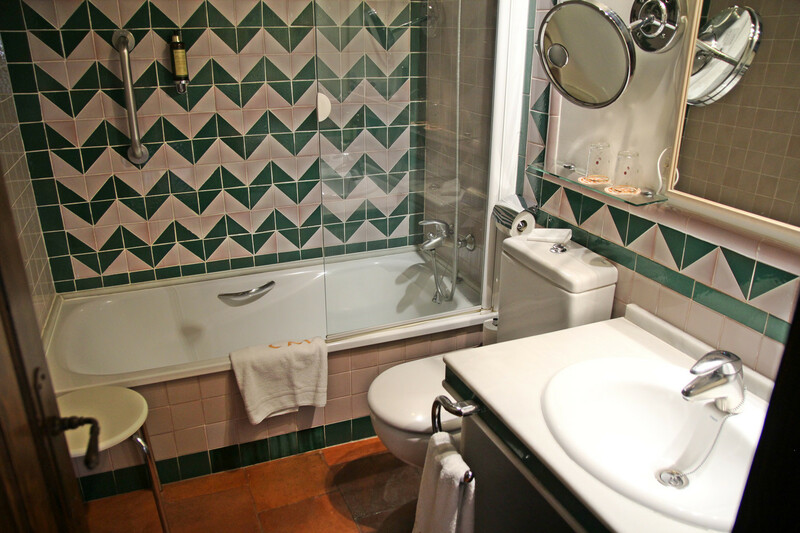 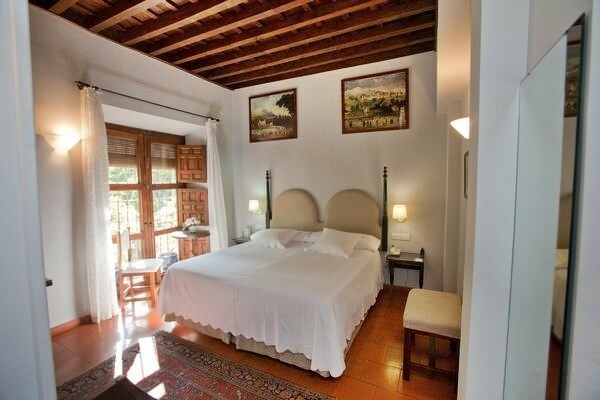 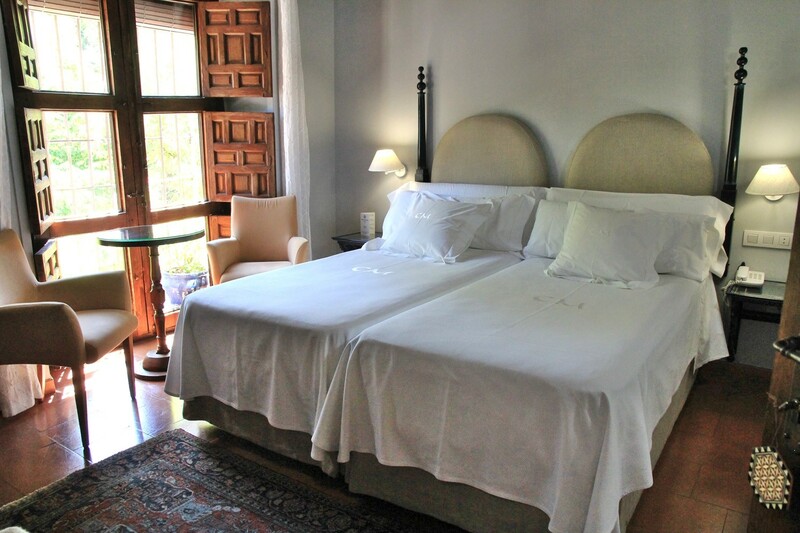 The hotel is situated in the historic district of the lower Albaicin at the end of the Carrera del Darro street, next to the Paseo de los Tristes and close to the city center and the Alhambra which you can reach by foot in 10-15 minutes. Economíc Double Rooms interior or with courtyard views. 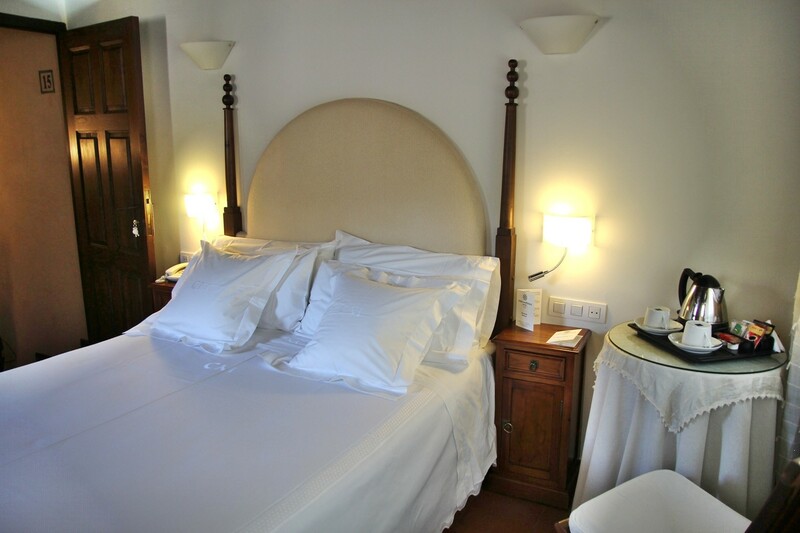 With double bed or twin beds. 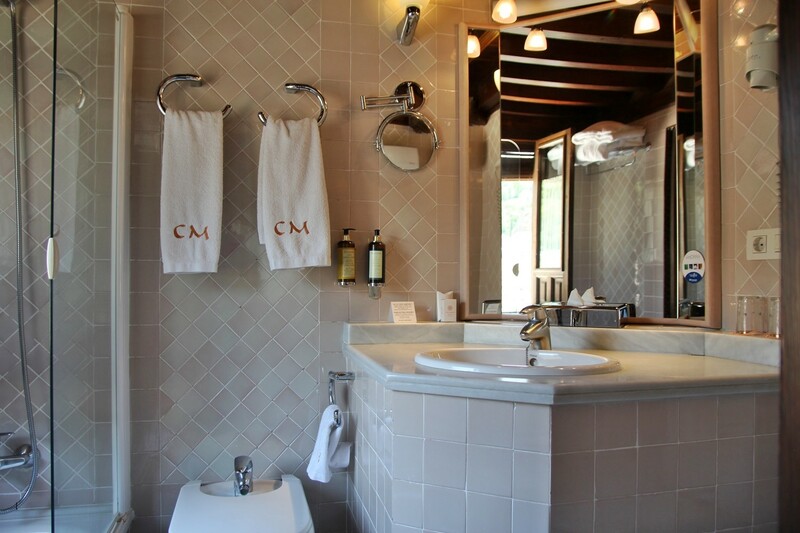 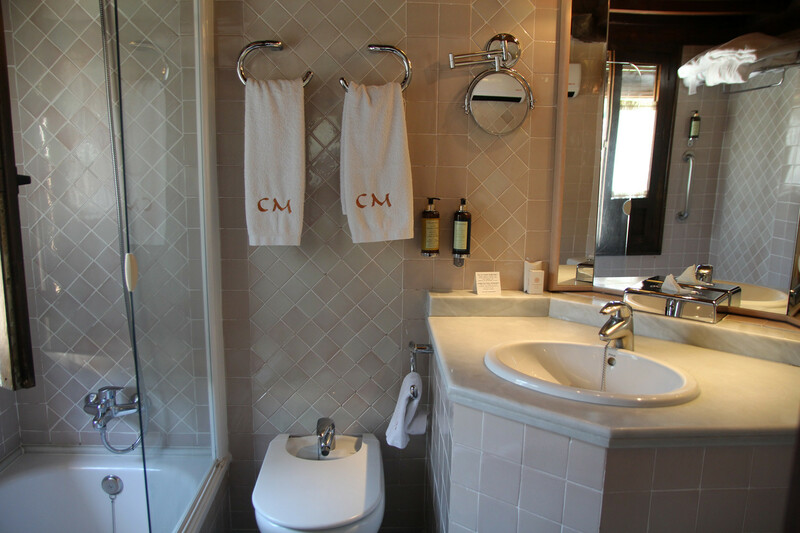 Bathroom with all you need, amenities. 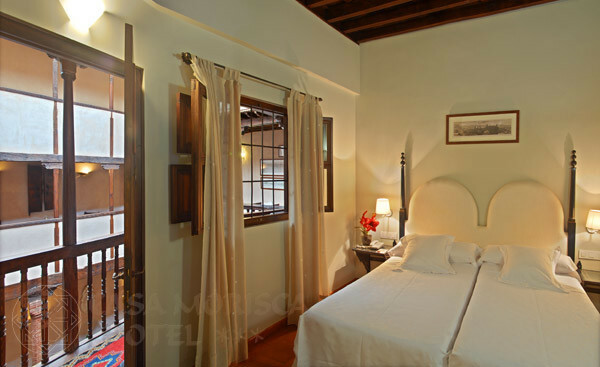 Room with 1 double bed and living room. 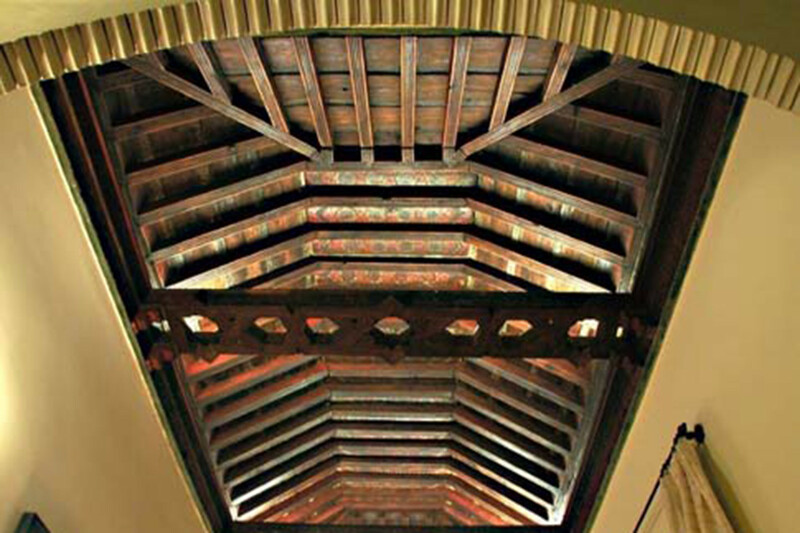 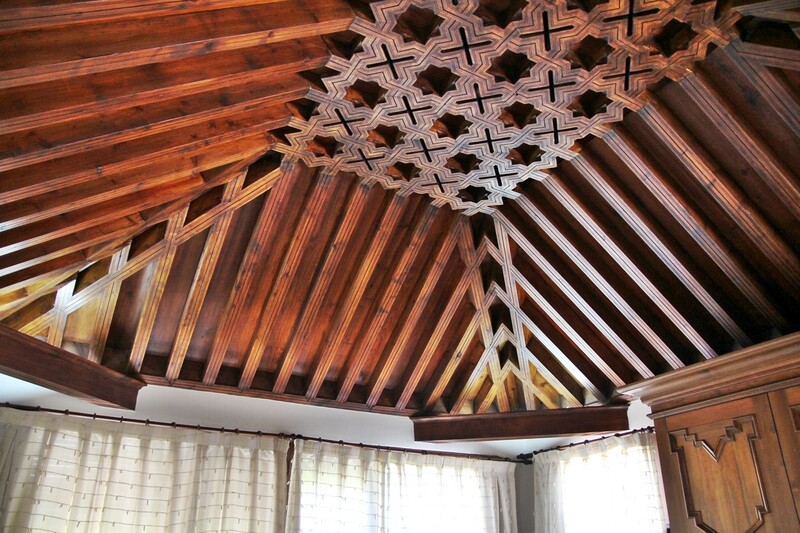 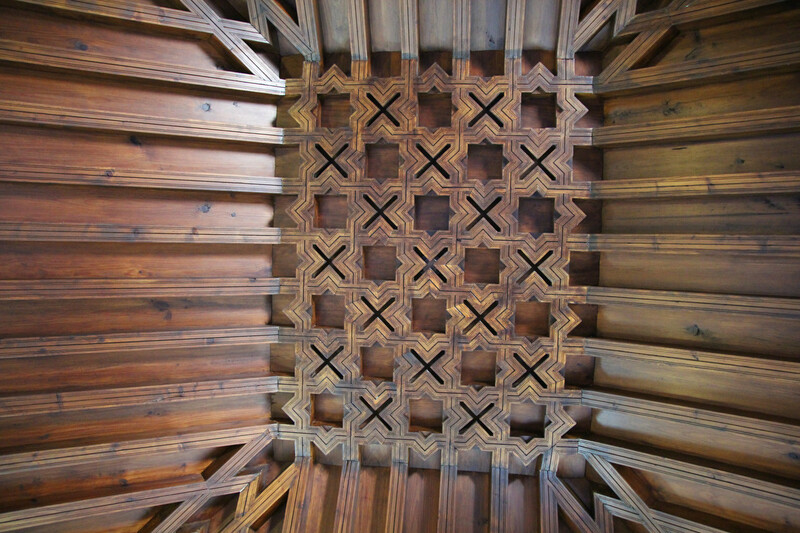 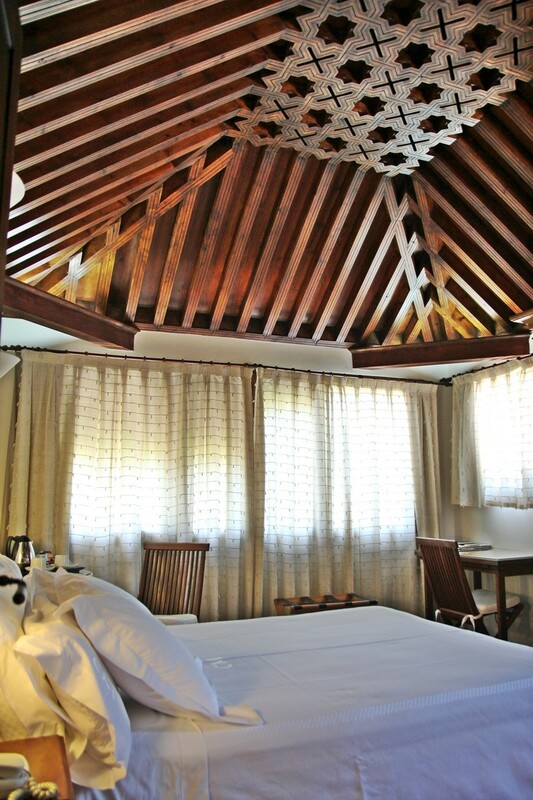 Beautiful wooden ceiling from 15th cnetury. 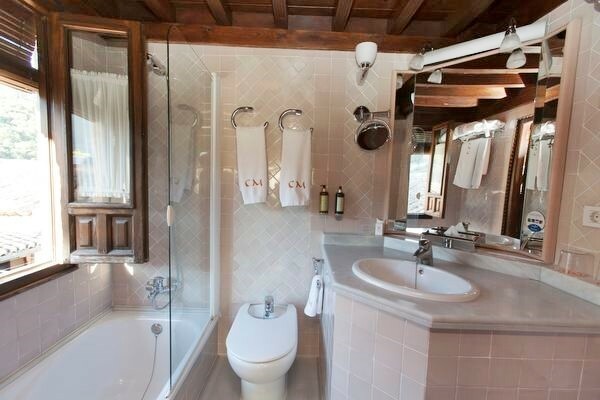 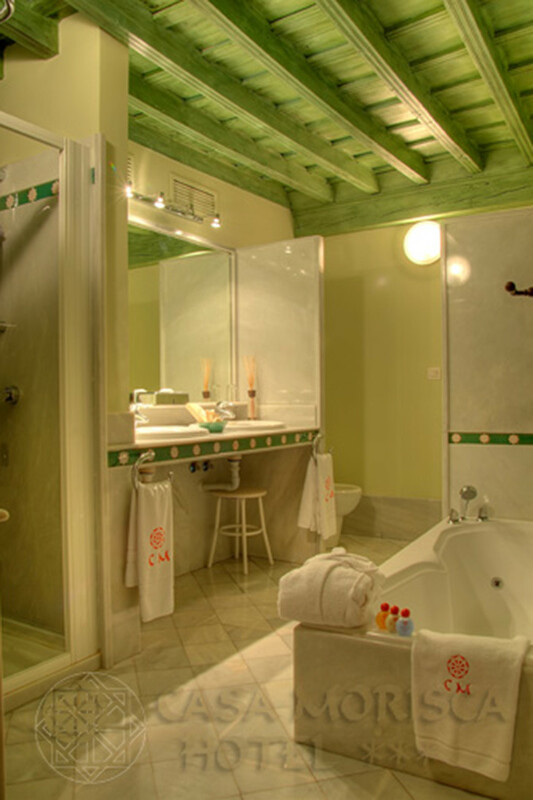 Bathroom with shower and jacuzzi-bathtub. 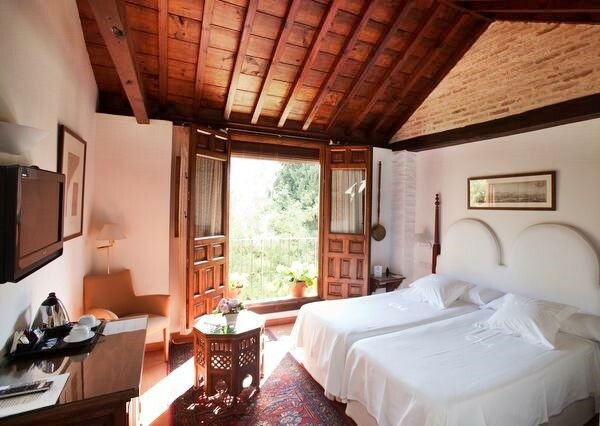 Floor area: 30 m2. 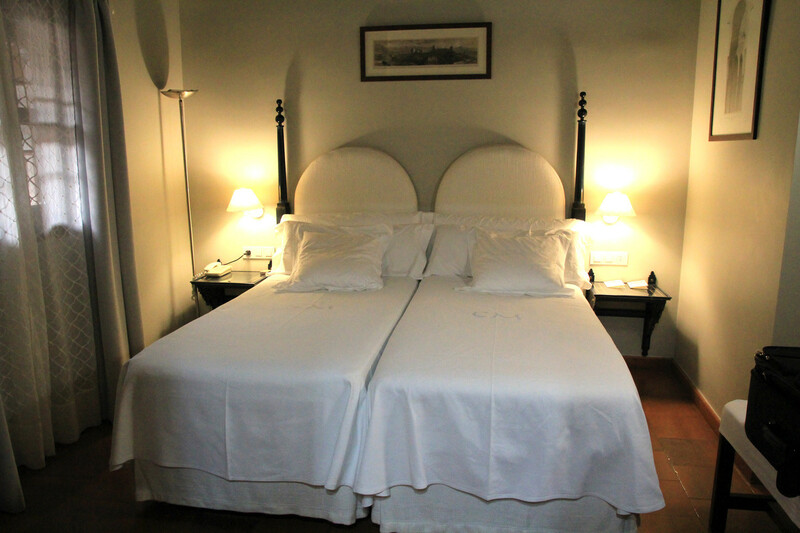 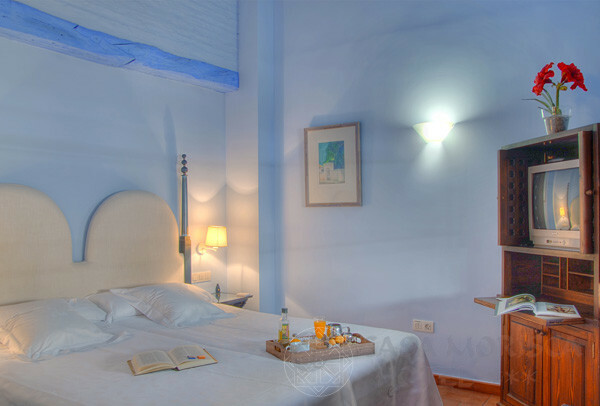 Capacity: 2 ó 3 people (extra bed with an extra charge of 35%). 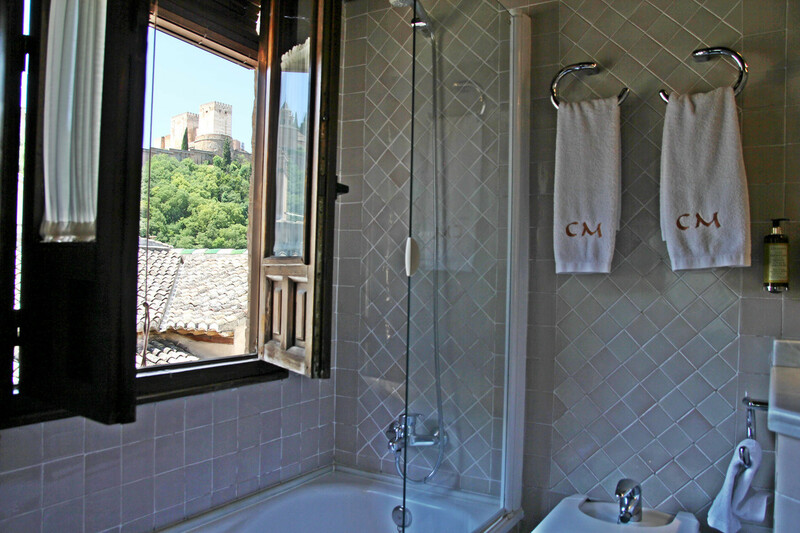 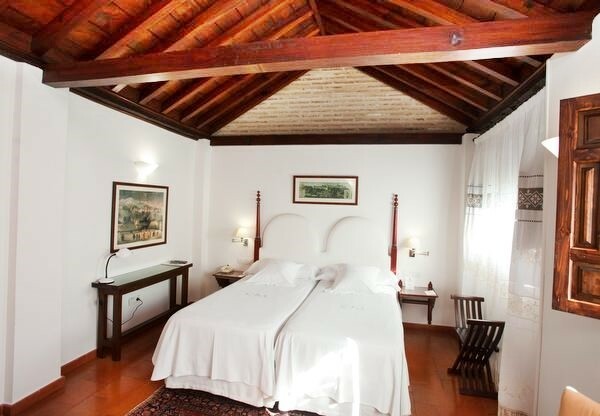 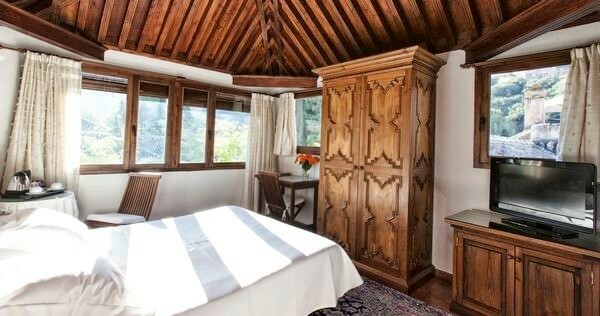 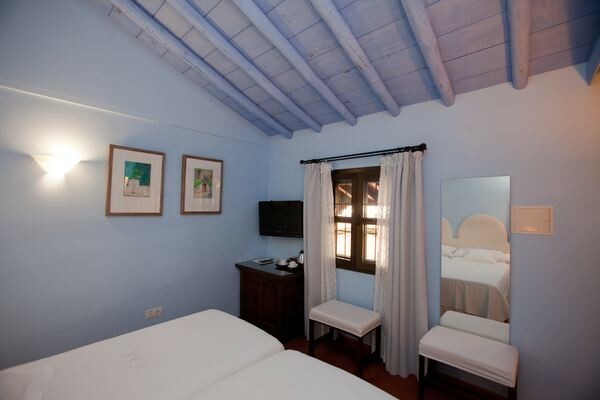 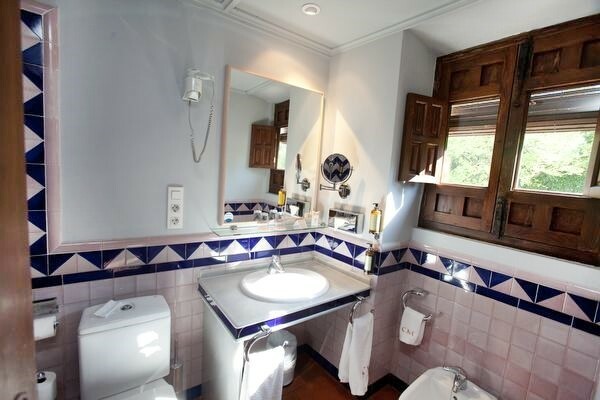 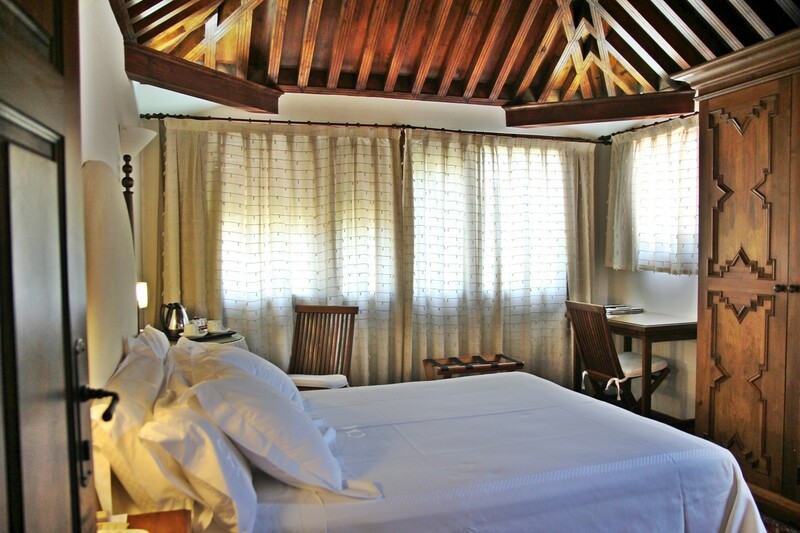 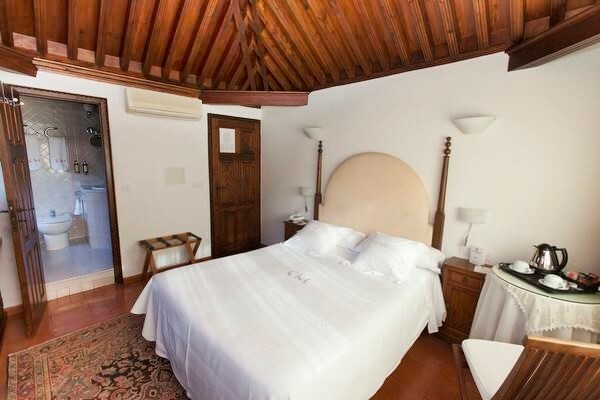 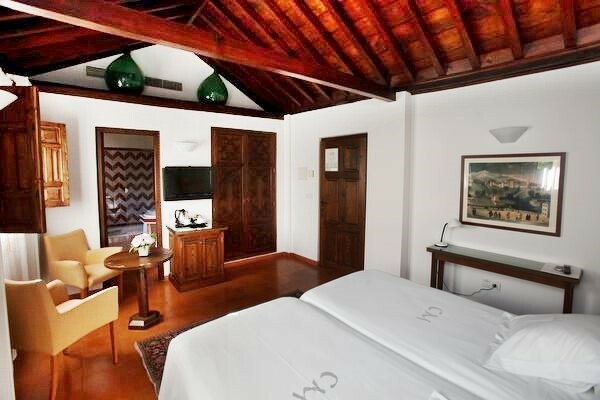 With a double bed and spectacular views from the room and from the bathroom. 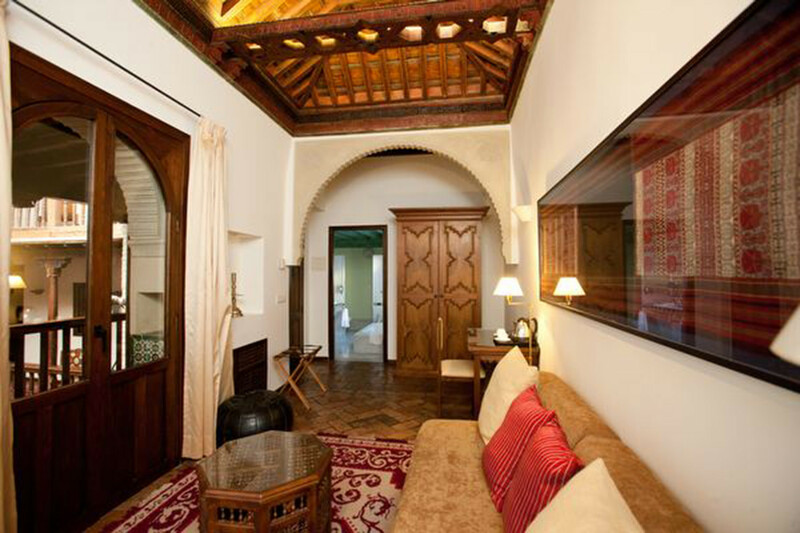 Floor area: 17m2. 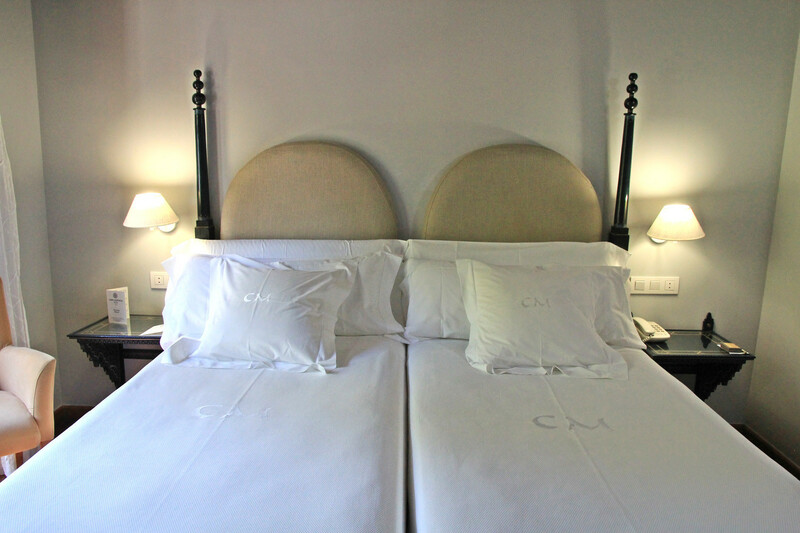 Double Bed (150 cm).